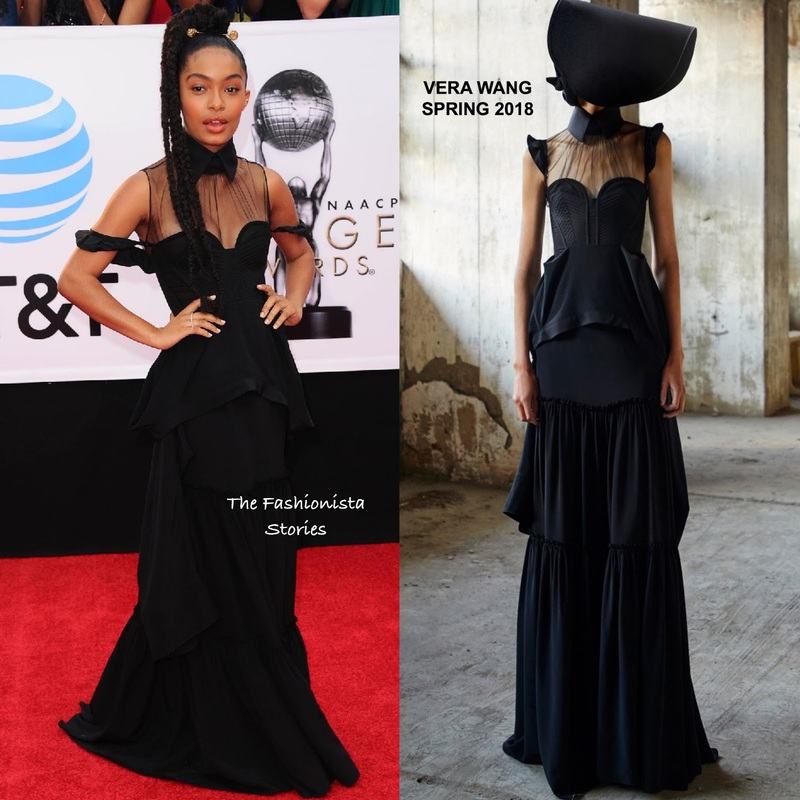 Yara Shahidi has great style but she tends to wear pieces that overwhelms her frame. The actress attended the 49th NAACP Image Awards at the Pasadena Civic Auditorium yesterday evening(January 15th) in Pasadena, CA. Working an all black look, she wore a VERA WANG SPRING 2018 gown which featured a collared neck, a sheer black yoke, ruffle straps, a bustier bodice, a draped peplum detail and a two tier skirt. In the look book the ruffle straps were shown on the shoulder but Yara opted to wear them down. This is a lovely gown but unfortunately she doesn't have the height for it. However she looks beautiful and I love her flawless beauty look. Do you think this gown works on Yara?